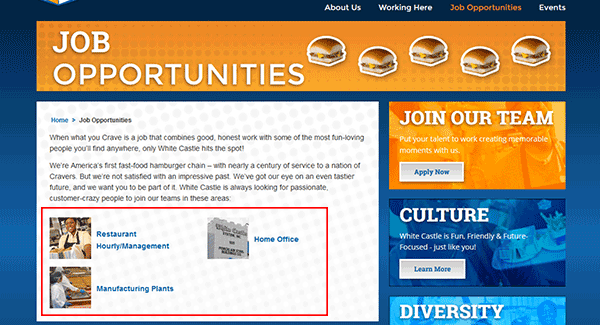 The White Castle job application can only be completed/submitted online (via the company’s careers site). Read the guide in the section below to learn how to navigate the careers site, search for current openings, and complete/submit the online application. 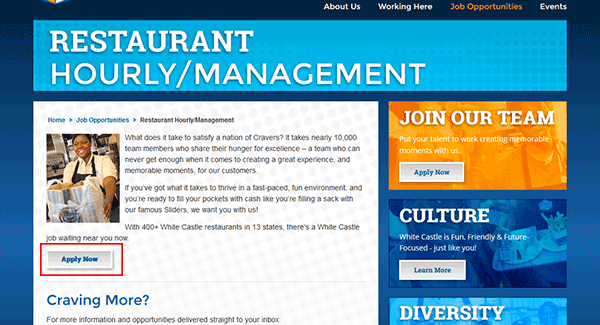 Corporate, manufacturing, and restaurant hourly/management positions can all be applied for on the website. 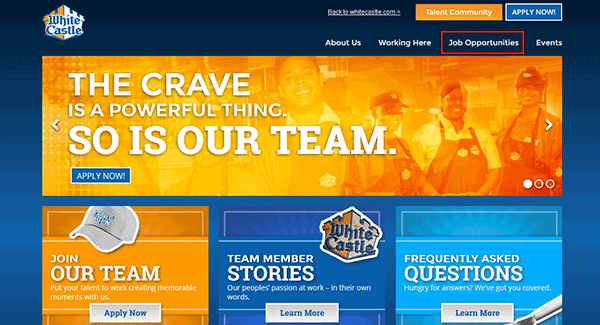 About the Company: White Castle is an American chain of fast food restaurants with over 400 locations throughout the Midwestern and Mid-Atlantic regions of the United States. Step 1 – Use the following link to go to the main jobs site. 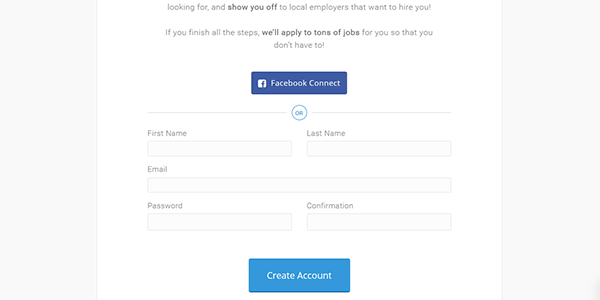 Step 2 -Click the “Job Opportunities” link. 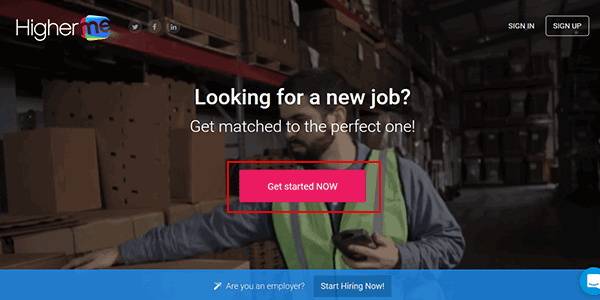 Step 3 – Select the type of jobs you want to search (e.g. 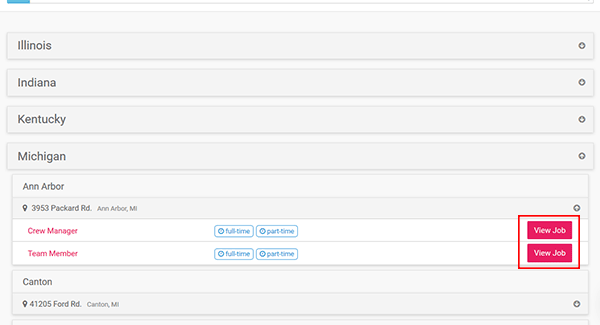 “hourly/management,” “home office,” or “manufacturing”). Step 4 – Click the “Apply Now” link, you will be transferred to the main search page. Step 5 – Enter your address into the search field (or select your state/location from one of the listed options). 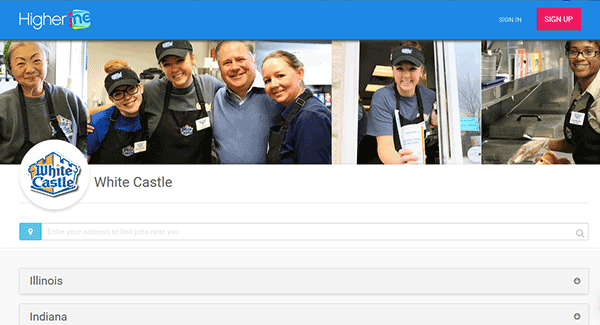 Step 6 – Press the “View Job” button of the position you’re interested in applying for. Step 7 – Click the “Get Started Now” button. 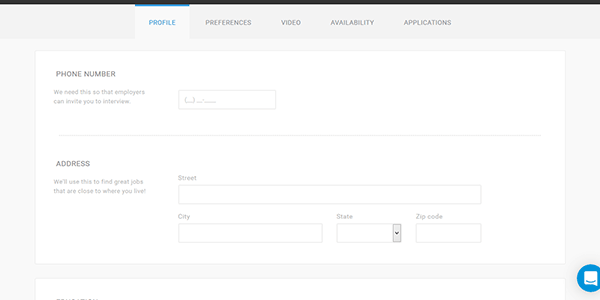 Step 8 – Enter your first name, last name, email address, and password into the form. Click the “Create Account” button to register your account.